I'm quite happy because this eyeshadow is pigmented and has a shimmer ♥（ﾉ´∀`）. My favorite is the Bijou White color, it can instantly make my eyes look brighter and bigger. White eyeshadow is seriously a must have~! Now, I'm making pattern and clothes design for a client. He's my Dad's friend so I feel uneasy if I don't accept the order. GROAR, and I need to do it SOON because He need it before Friday! I'm not a Robot! （;≧皿≦）, but oh well. I know I can do this! i haven't try any lioele products..
Aww poor you, I wish you all the best for work! i wanna see a contouring tutorial as well :D i love your fotd you do look more mature :D i love the sky blue shade so shimmery and pretty! I have only tried Lioele bb creams before and I really liked them. Both of these shadows have very nice colour and you look amazing wearing them. So gorgeous!! XD u can try to do this make up tutorial~! have a lot of luck for the design. I love the eyeshadow, but ... no, you look more "adult" you look much sweeter. but let me tell you you're beautiful. 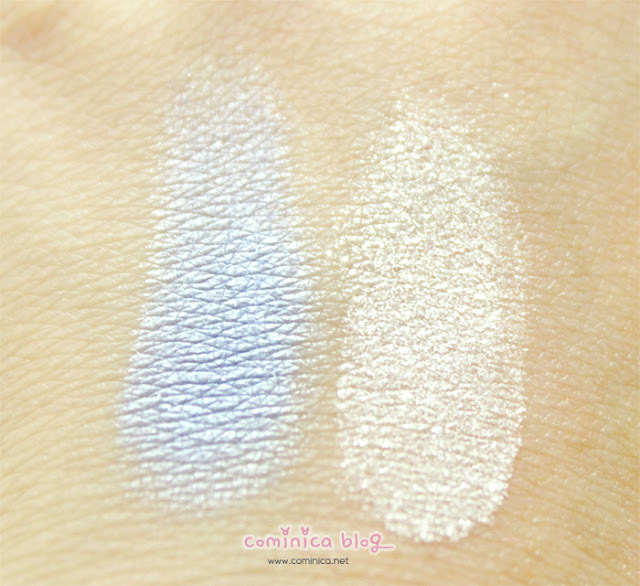 Ooo these two colors make really pretty highlighting shades! :) They look very nice on you! You can do itttt!!! ^_^ Keep working hard! LOL I ALWAYS HAVE THIS WEIRD URGE TO KISS YOU WHENEVER I SEE YOUR LIPS LMAO. I'm still learningggggg xD, thank you! You're working so hard! I know you'll succeed!